Thirteen-year-old Allison Zellers loved to sleep in on Sunday mornings. But one Sunday, she awoke with a twinge of pain in the back of her neck. The initial theory of a pulled muscle called for rest and medication, but when the pain continued for weeks, Allison’s parents suspected that her discomfort might be something more serious. A twelve-hour surgery at Children’s Hospital of Philadelphia revealed a startling diagnosis: Allison had a rare type of cancer called Chordoma. Paralyzed with fear when confronted with this news, she bravely resolved to fight the disease and take back her life. 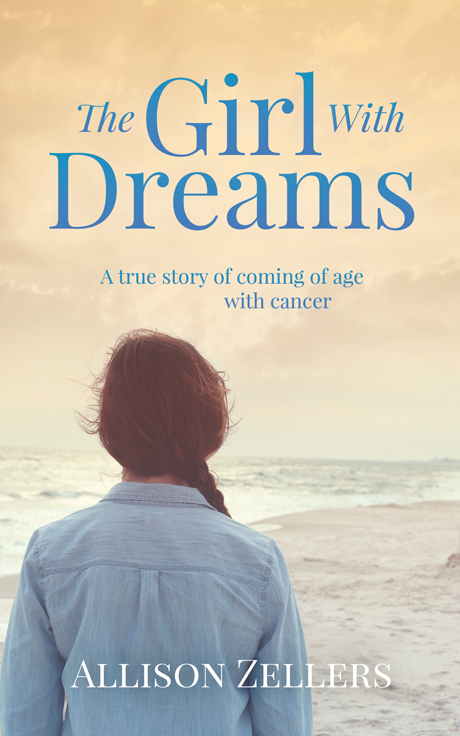 The Girl With Dreams chronicles Allison’s journey through many difficult treatments and the unexpected consequences of her life-altering experience. Now recovered, she has written her story so that she will always remember the people who helped her along the way, and so that her experience might help others. Allison Zellers is a pre-med student at the University of Pittsburgh’s Honors College. She volunteers and is involved with the Make-A-Wish Foundation and the Chordoma Foundation, having been introduced to both organizations during her time as a cancer patient. She formerly interned at Penn Medicine Lancaster General Health in the research and quality departments, and volunteered at the ­Lancaster General ER. The Girl With Dreams is her first book.